Most of us have heard about our thyroid gland in some capacity. Thyroid conversations tend to take place when conversations ensue as to why we can’t kick those extra few pounds, to those discussing why our internal thermostat seems all over the place. Indeed, our thyroid gland is involved with these processes, but do you know what else your thyroid does? In fact, the thyroid is one of the most essential glands to regulate overall health, AND it is one of the most easily damaged by toxins, nutrient deficiencies, and stress. If you are living and breathing on this planet, these factors affect us every day! These are ALL necessary to gain a complete understanding of your true thyroid function. Sadly, the average person only ends up having 1 or 2 of these tests run in their annual physical with their GP. These are all important to help identify any ‘glitches’ in thyroid function. Getting a thorough workup is always the very base of understanding how you can help support and heal. If your doctor won’t run these, consider finding one who will. I see a lot of patients with thyroid conditions in my practice, and many of which have not been diagnosed previously. Blood testing aside for a moment, there are many clues your thyroid gland may not be functioning at an optimal level. Energy issues can be caused by literally hundreds of reasons, however if you notice that you are constantly dragging and can’t fathom getting through the day without your Java – this might be a sign of an underactive thyroid. In addition, we all know that person who loves to sleep in whenever they get an opportunity. While sleeping in isn’t always ‘bad’, if you are someone who constantly needs to sleep 9+ hours before you feel normal, this might be a clue of an underlying thyroid imbalance and worth investigating further. Constipated? Bloated? Feeling ‘heavy’ in the stomach? Your thyroid gland controls your bowel function. 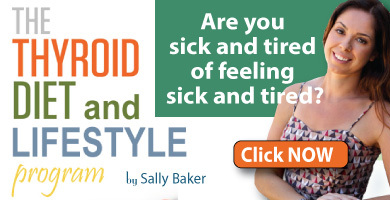 If this sounds like you it is possible you have a hypo-functioning (sluggish) thyroid. On the flip side, if persistent diarrhea is more your thing – have your doctor run the tests above to rule out hyperthyroidism (overactive thyroid). With hypothyroidism, hair frequently becomes brittle, coarse and dry, while breaking off and falling out easily (it is normal to lose up to 100 hairs per day). Skin can become coarse, thick, dry, and scaly. In hypothyroidism, there is often an unusual loss of hair in the outer edge of the eyebrow. With hyperthyroidism, severe hair loss can also occur, and skin can become fragile and thin. Any changes in any of the above warrants a thorough workup. Depression or anxiety – including sudden onset of panic disorder – can be symptoms of thyroid disease. While there can many other factors involved, thyroid should be one of the first areas of assessment when treating anxiety or depression. Hypothyroidism is most typically associated with depression, while hyperthyroidism is more commonly associated with anxiety or panic attacks. Depression that does not respond to traditional anti-depressant treatment (natural or pharmaceutical) may also be a sign of an underlying thyroid disorder. Our hormones are intricately connected. Whenever one specific hormone(s) is found to be imbalanced, it is quite frequently the case that another is askew upon a thorough investigation. In general terms, heavier, more frequent and more painful periods are frequently associated with hypothyroidism, while shorter, lighter or infrequent menstruation can be associated with hyperthyroidism. 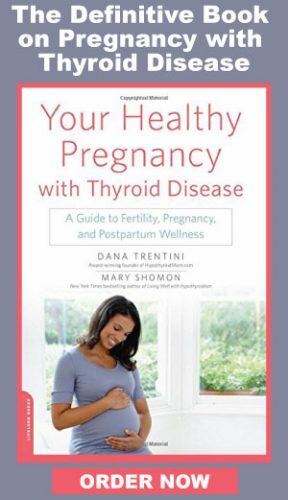 Infertility can also be associated with undiagnosed thyroid conditions. Dr. John Dempster is a licensed Naturopathic Doctor and the medical director/founder of The Dempster Clinic – Center for Functional Medicine, where he focuses on a functional medicine model to treat those with (or looking to prevent) chronic illness such as Cancer, Heart Disease, Diabetes, and Autoimmune illness, to high performance individuals. His patients find answers and wellness through his detailed, evidence-based approach. 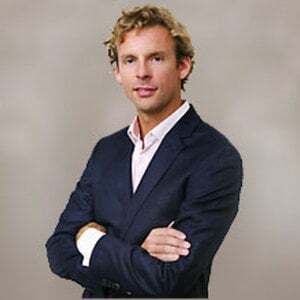 Dr. Dempster has a strong passion for helping patients embrace an Optimal Aging philosophy to help them achieve a long, healthy, vibrant and fulfilling life, with an overall emphasis of the importance of optimizing metabolic and hormonal functions within the body. Dr. Dempster obtained a Bachelor of Science, Honours, in Biological Science from the University of Guelph. Upon graduation, he completed a four-year program in Naturopathic Medicine at the Canadian College of Naturopathic Medicine (CCNM) in Toronto, Ontario. To further his education in integrative and evidence-based medicine, hecompleted an Advanced Fellowship in Functional, Regenerative, and Anti-aging medicine(FAARFM) with the American Academy of Anti-aging Medicine (A4M). Be sure to follow The Dempster Clinic on Facebook, Twitter and YouTube. You can find the original article here. Questions or anything to add about high or low thyroid function? We want your thoughts, please. You might just help someone else in need.